zoe Apr 18 2018 10:38 pm His performance in Six Flying Dragon as Gil Tae-Mi / Gil Sun-Mi was DAEBAK!!! Vali Jan 18 2017 3:03 pm I liked his cameo apperance in Joseon X files. AppleJuice Dec 15 2016 12:09 pm LOL. After watching 28 episodes of 6FD I realized this guy played two people in the same show. A very serious role (Gil Sun Mi) and a very weird one (Gil Tae Mi). It was amazing. Christina Jul 24 2016 8:57 pm I just wanted to watch him in SFD. He did such a great job. I am glad his efforts were recognized as he deserved it. I remember he was good in Time Between Dog and Wolf also. HELLO Feb 28 2016 5:06 am Why is his rating this low. I was so sad when he died in six flying dragons, he was so lovable even with the bad role he played. Aaanaaar Jan 12 2016 4:50 am Gil Tae Mi was the most unique character in SFD . Hilarious and cute . Afterall he was not an evil dude like lee ingyom . minami Jan 03 2016 4:25 am Congratulations for the special actor awards!!! U deserved it! Remi Dec 06 2015 7:48 am What a fantastic actor, truly a pleasure to watch! He should have a higher rating on here. minami Dec 06 2015 1:52 am RLE: i agree with u!! I love gil tae mie! 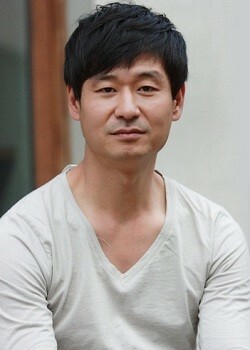 Haha..they should have him alive till the end..
No one else could make you love and hate Gil Tae-Mi so much. So funny and Crazy all the time. You almost feel bad for him at his end. They should have kept his character around until the very end. Beverly Nov 24 2015 8:20 pm This guy can act. mica Oct 29 2015 10:10 pm keke. he's playing two different characters this time. Aya155 Jul 01 2015 1:44 pm This actor is seriously fantastic. People might have based their rating on the evil roles he played in dramas but think about it, he does it so well. I've watched him in Secret love affair, A wife's credential and finally Producers. He manages to make his characters hateful yet funny. I've loved hating him. See you in your next drama !